After a careful inspection of your dog’s coat your operator will discuss with you which service would be best for your dog in addition to the hydrobath service. Please note: Only some operators offer the following additional services, if they do not, they will refer you to a local salon. Your dog is brushed to provide an overall massage and to help remove light shedding, loosen dirt and grit. The brushing helps identify if more work needs to be carried out on your dog’s coat. The time it takes for each service varies on the size, breed and condition of your dog. The Furminator is designed to get out the dog/cat undercoat, therefore reduce hair shedding. 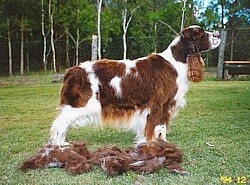 A great tool for breeds that shed hair with NO matting, even the shortest coats.Your very own personal Coat King and/or Furminator is available for purchase through your local Aussie Pooch operator. The Coat King brush removes excess undercoat and takes out light matting, therefore reducing shedding. Your dog will have a tidier finish and will feel cooler. This service is offered to help maintain your dog’s best wellbeing. It will shorten the coat and remove light matting in these areas ensuring your dog is kept comfortable. A great clip/scissor for all dogs with longer coats and will enhance it’s looks. 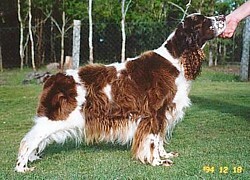 A Clip Off is offered for ease of maintenance on your dog’s coat. 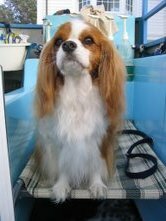 You may prefer it short, it may be matted, your dog may be suffering from skin problems or heat. Your dog will dry quicker and any skin problems can be attended to with ease. The coat will grow back quite quickly and you can either choose to have it clipped of again or look to go to a Wellbeing Clip. 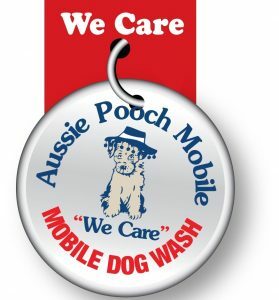 The Aussie Pooch Mobile grooming service is designed to achieve and maintain your dog's best well being. If you are looking for even more grooming for your dog, it is recommended you visit a grooming salon, where they provide specialised trims and can dress your dog up with bows and may even paint it’s toe nails.